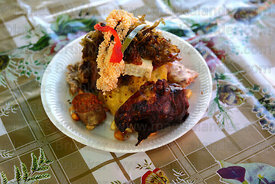 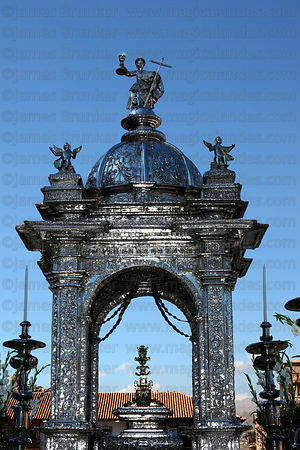 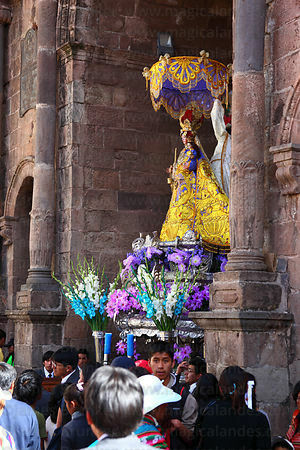 The Feast of Corpus Christi (Latin for "Body of Christ") festival is one of the most important events in the Catholic calendar. 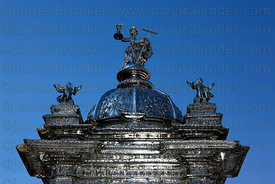 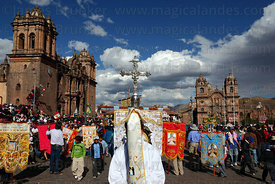 It is usually celebrated on the Thursday after Trinity Sunday and is a public holiday in many Catholic countries. 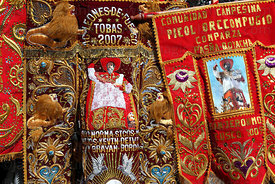 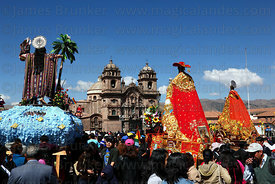 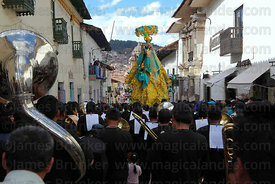 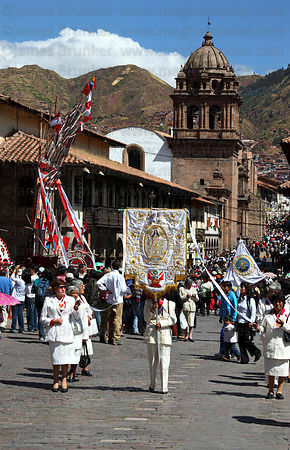 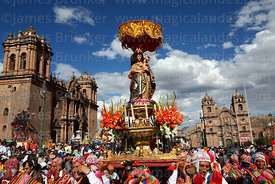 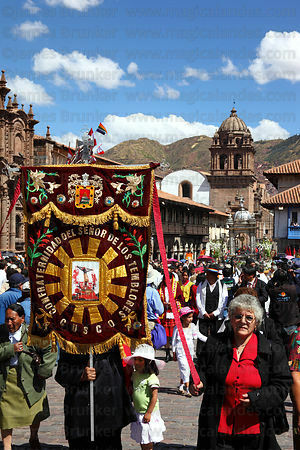 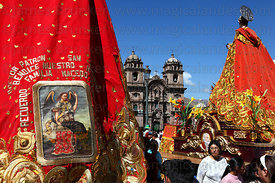 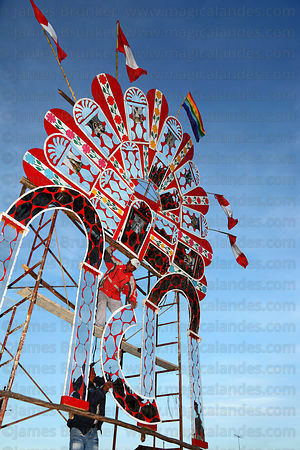 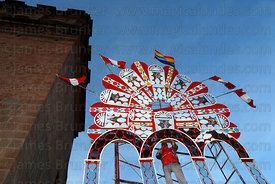 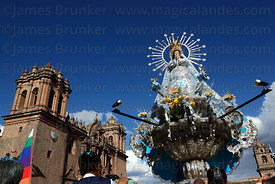 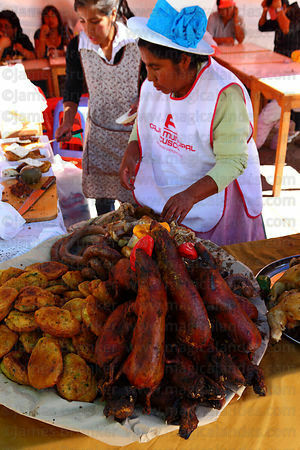 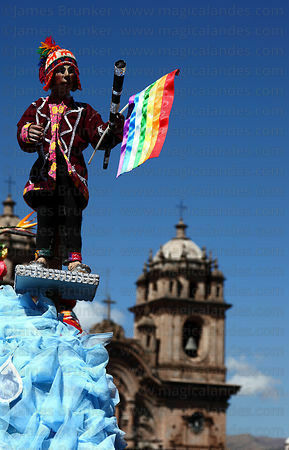 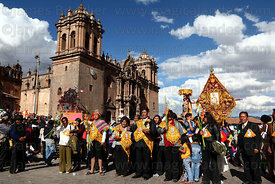 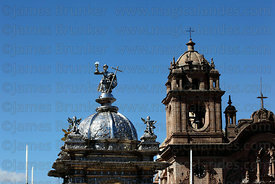 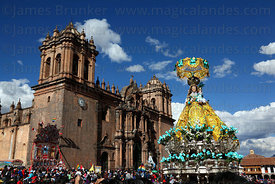 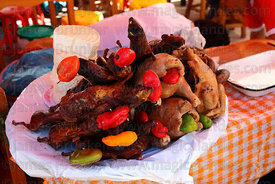 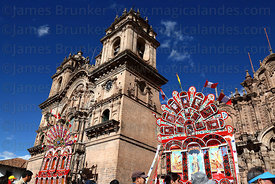 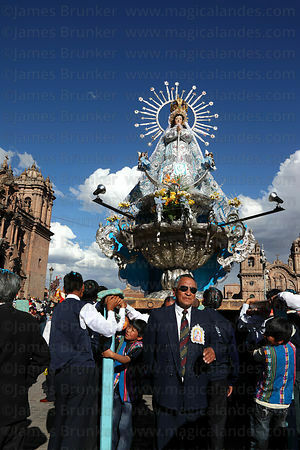 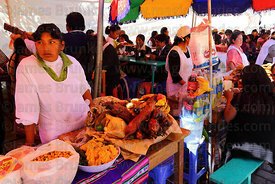 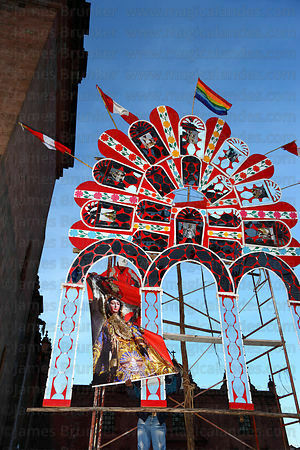 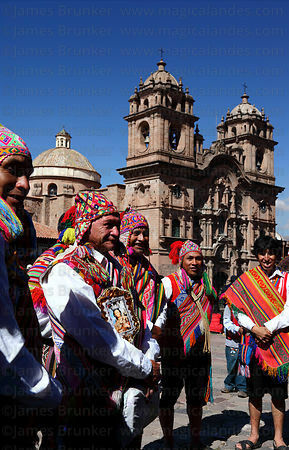 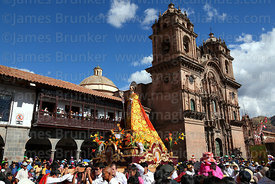 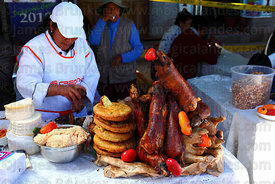 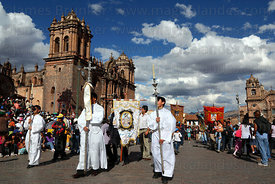 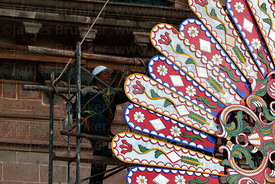 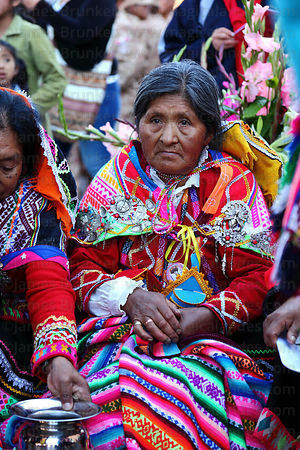 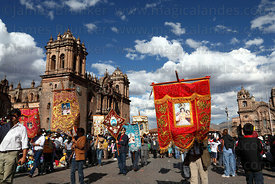 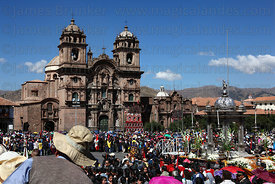 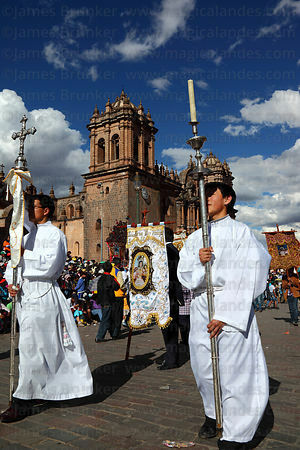 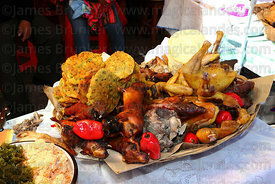 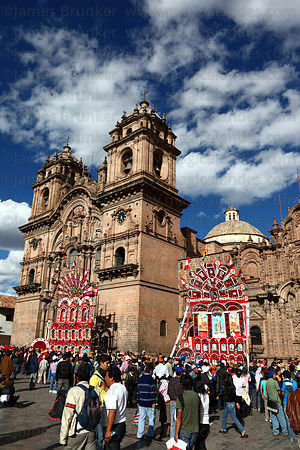 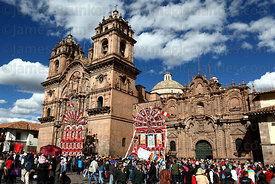 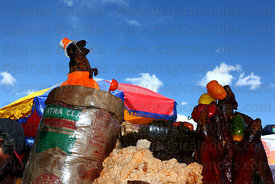 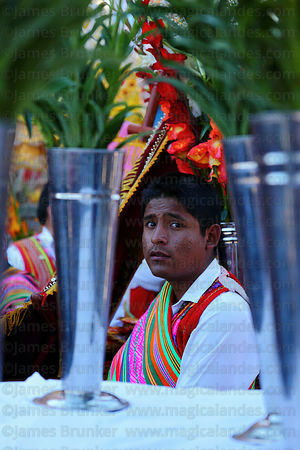 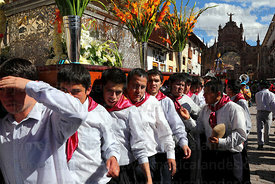 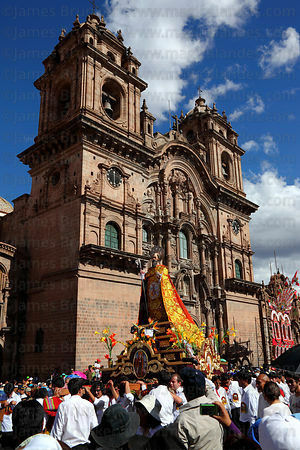 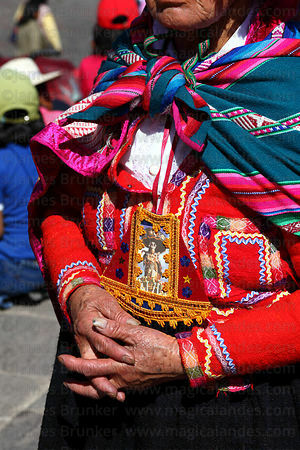 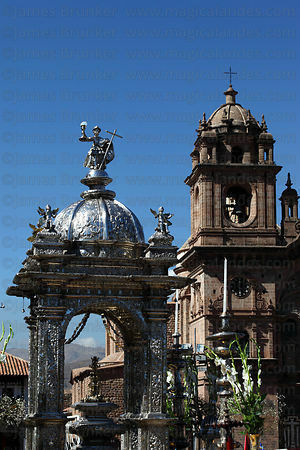 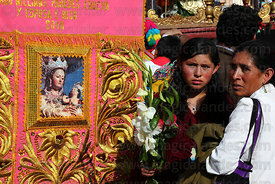 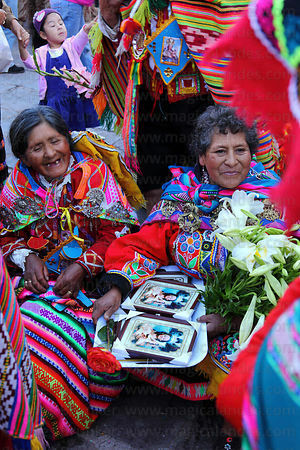 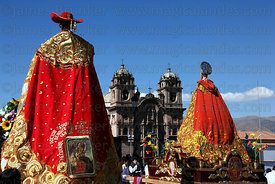 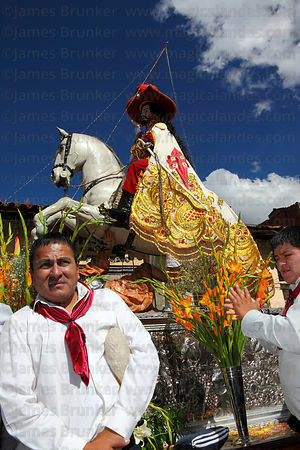 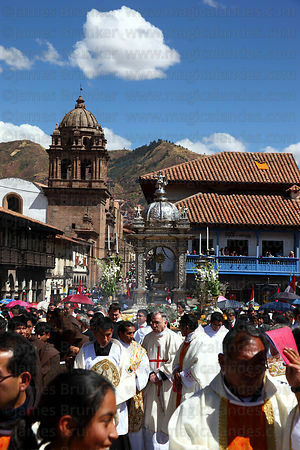 The celebrations in Cusco are some of the largest and most colourful in Latin America. 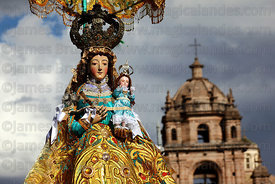 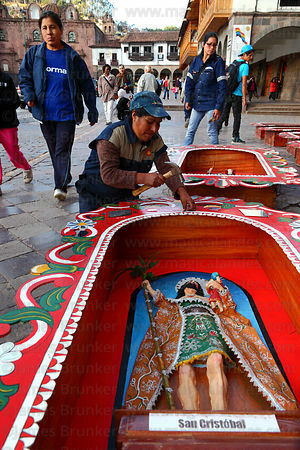 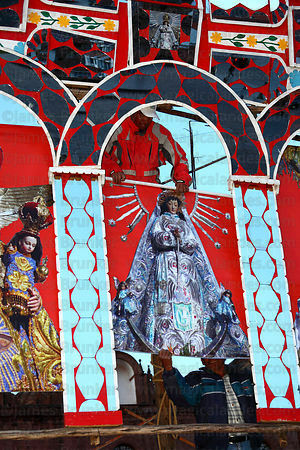 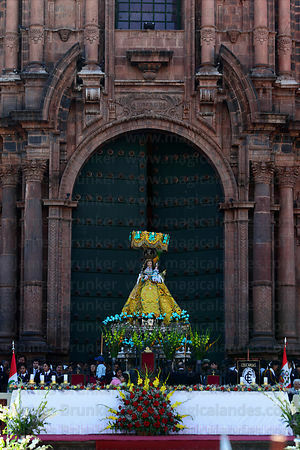 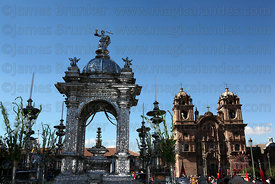 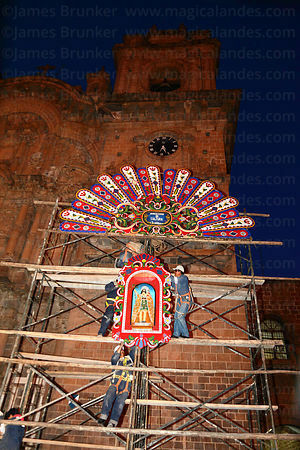 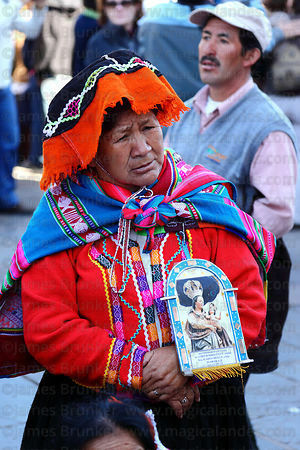 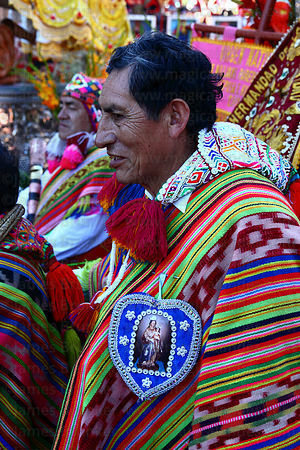 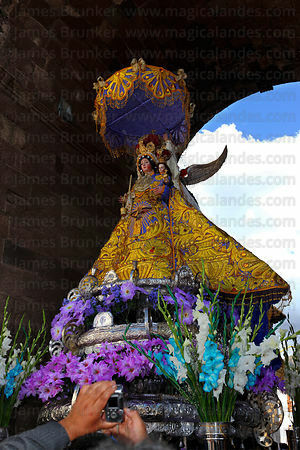 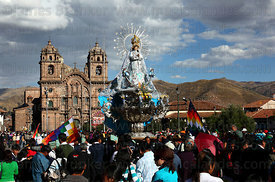 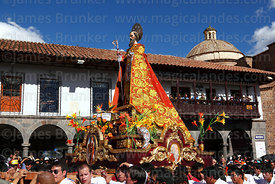 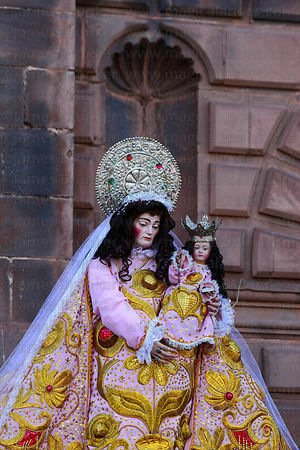 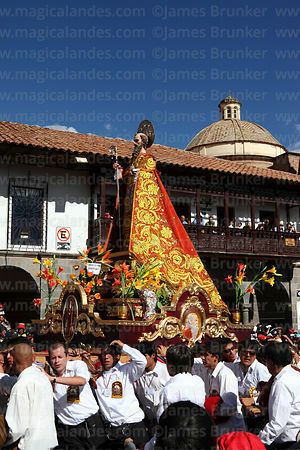 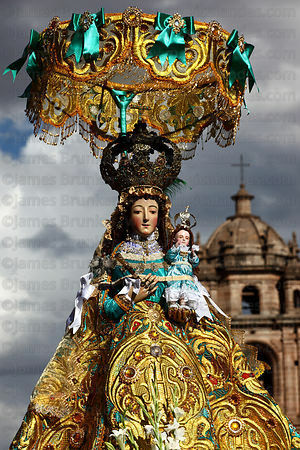 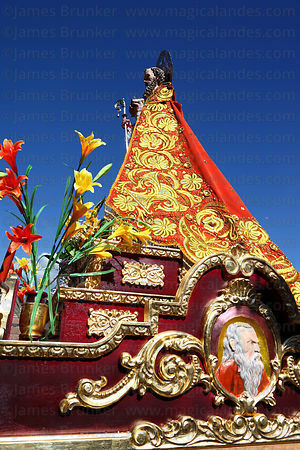 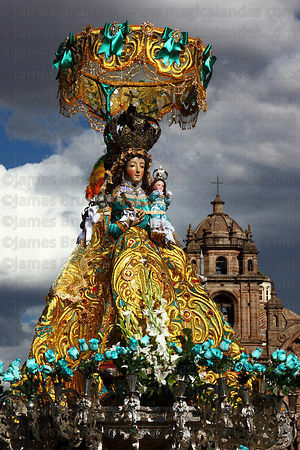 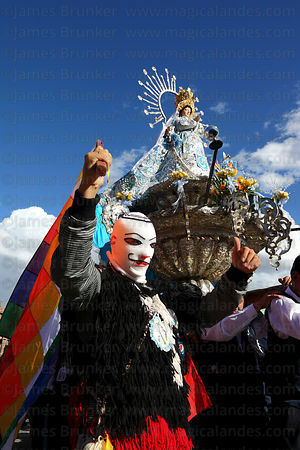 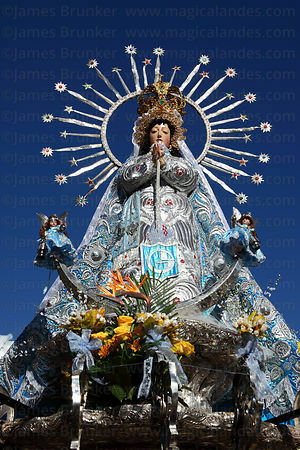 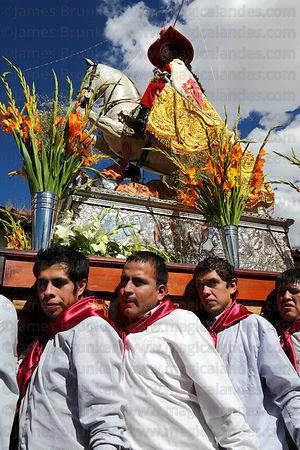 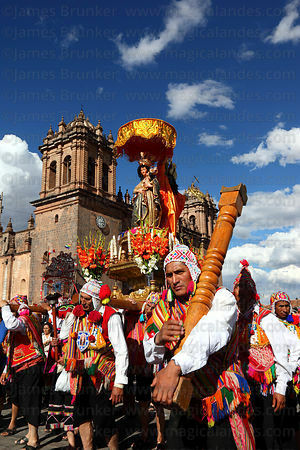 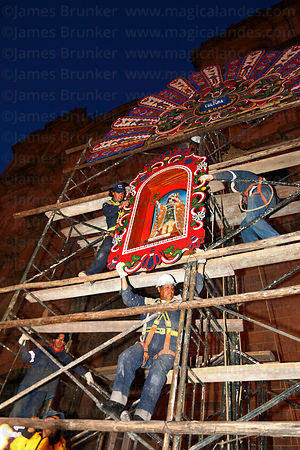 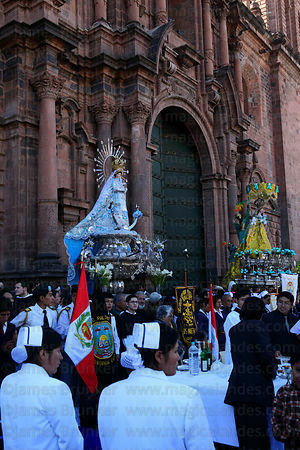 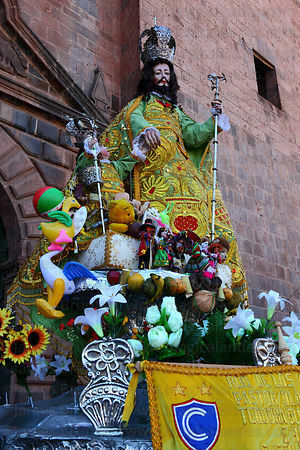 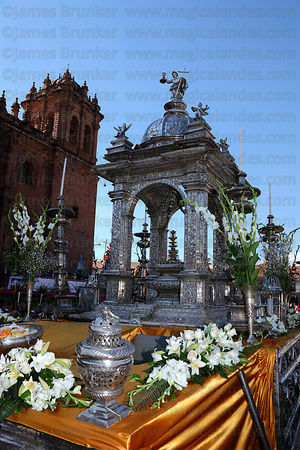 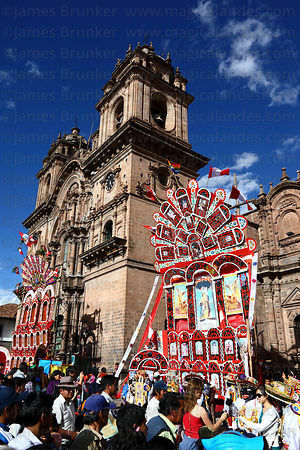 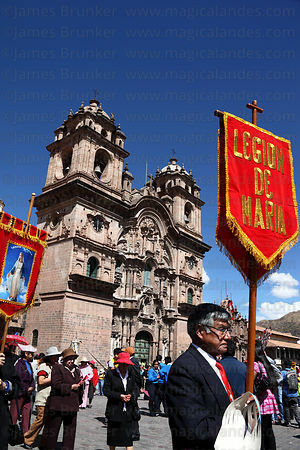 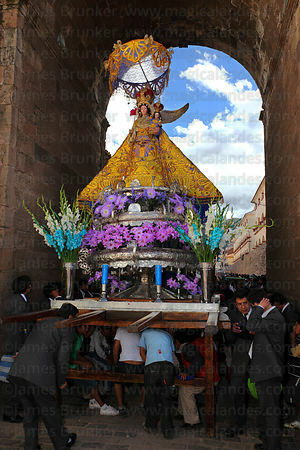 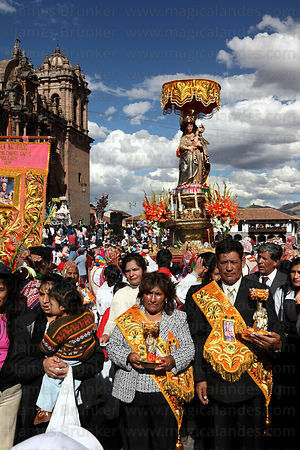 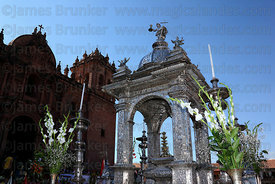 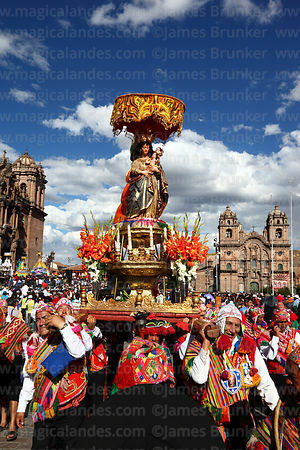 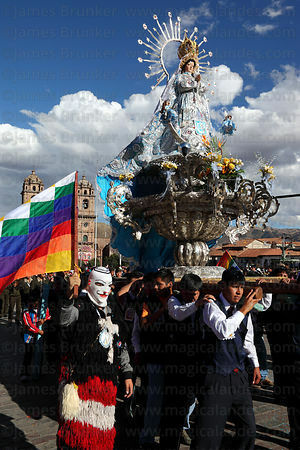 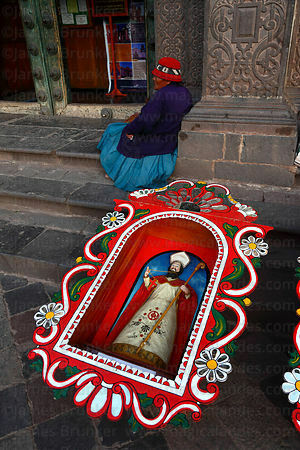 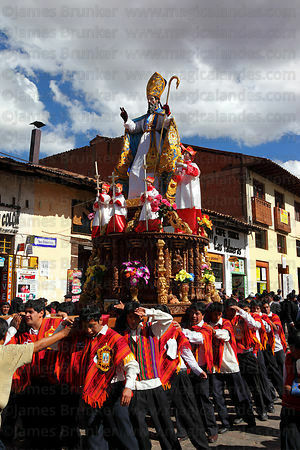 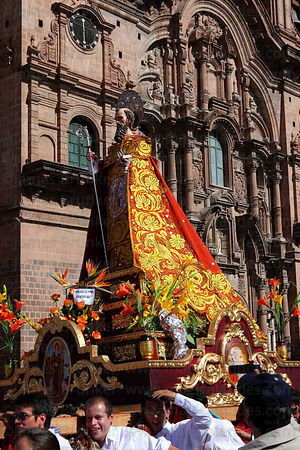 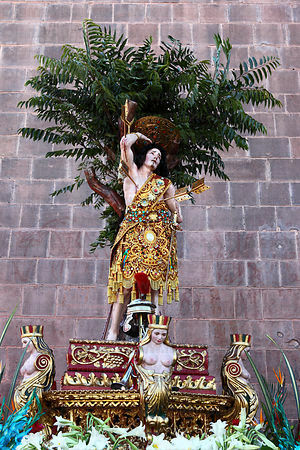 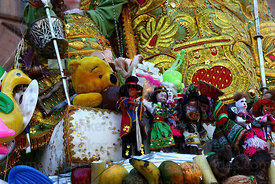 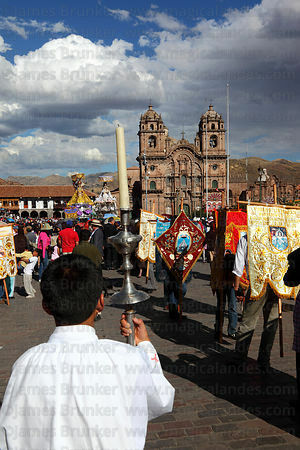 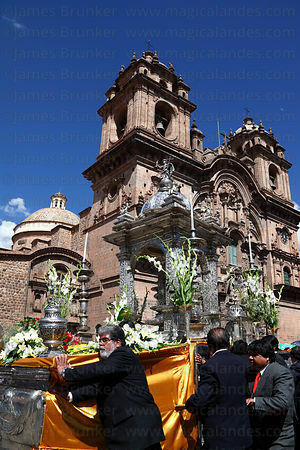 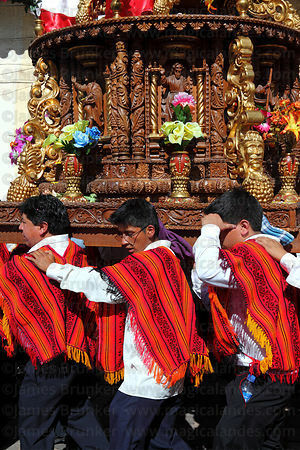 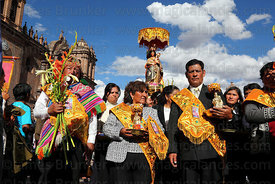 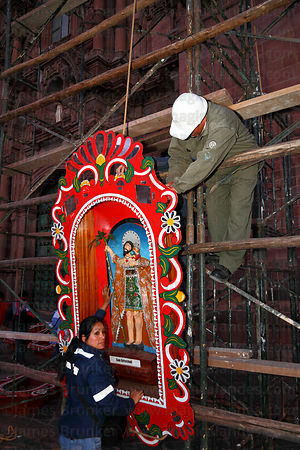 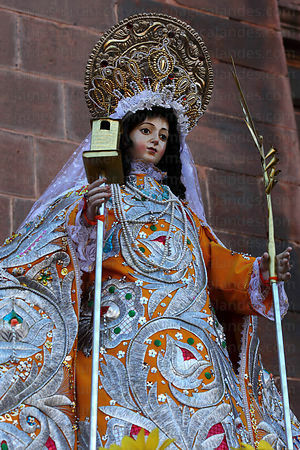 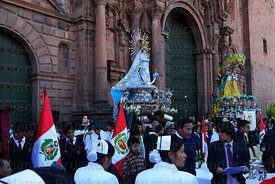 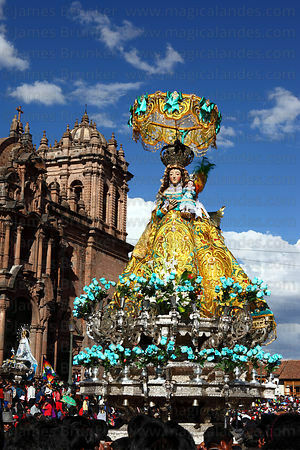 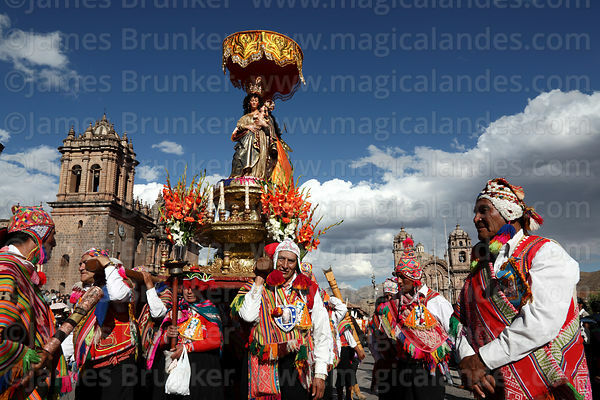 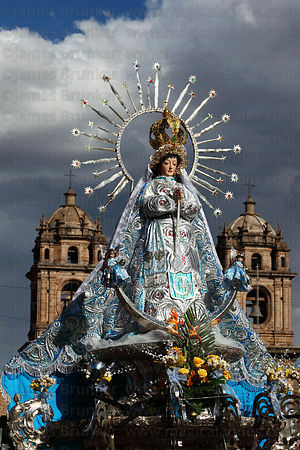 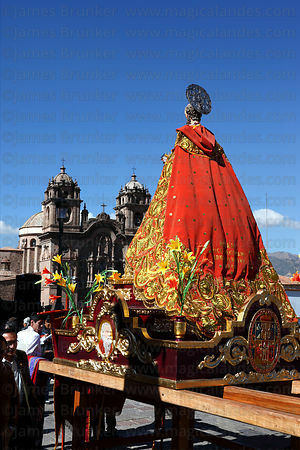 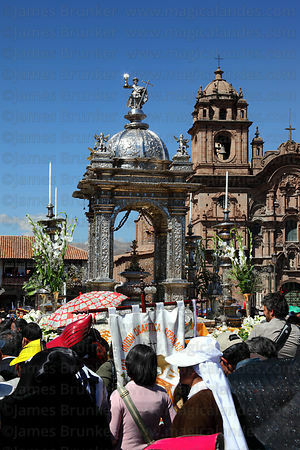 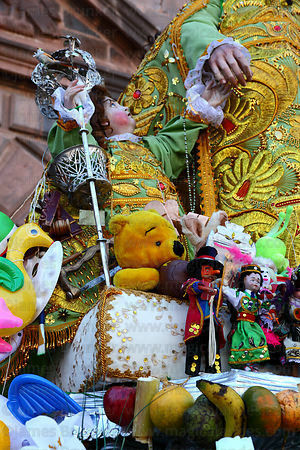 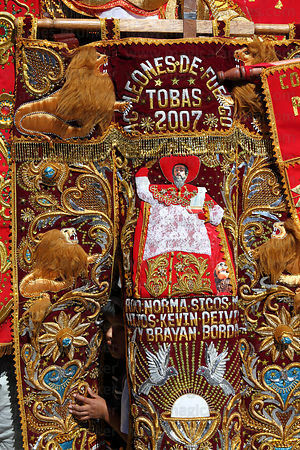 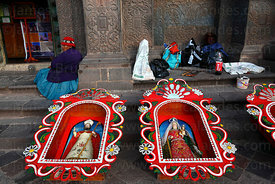 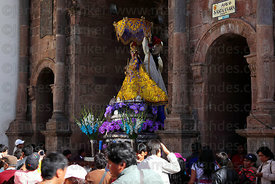 15 saints are carried from their churches to the cathedral in the city centre and paraded through the city's streets, a tradition that is said to have origins in the Inca practise of carrying mummies of their dead leaders during important rituals.